Women In The Arts, 3315 Cady's Alley NW, Washington, DC 20007, March11th - April 6th 2019. Group Exhibition. Reception on March 11th from 6:30 to 10 PM. Healing Hands Across Nations. Future Visionaries Art exhibition showcasing artwork of young and professional artists in the DMV area. Group exhibition. Creative and Therapeutic Arts Services at Children National Health System in Washington, DC, makes a healing impact on patients, families, staff and the community. On Display at Pepco Edison Place Gallery 702 Eighth St. NW Washington DC 20068; February 6 - February 27, 2017. This panel seeks to explore the power of Art. Despite our personal, financial and educational achievements, the quality of our lives might still suffer. How can art wash the dust of daily stress and make us feel alive? How can it facilitate personal growth? Can art unify and transcend differences? Our panelists through their unique lens as women and experts tackle the importance of art from various perspectives. Part of Group Exhibition: "Portraits" Exhibition at Mansion On Main from April 1, 2016 - April 30, 2016. 140 West Main St, Wardensville, WV. Part of Group Exhibition: "Beauty of the Wild, Miracles of The Earth" Exhibition at Mansion On Main from March 4, 2016 - April 4, 2016. 140 West Main St, Wardensville, WV. Part of Group Exhibition: "WOMEN IN ARTS: Exclusive Multi-Artist PHOTO" Exhibition at Art Soiree March 25, 2016. 3100 South St NW, Washington, District of Columbia 20007. Therapeutic Arts Services at the Children's National. Artwork will be on display at Takoma Park Dempsey Gallery, at the Takoma Park Community Center from November 5th, 2015 to January 3rd, 2016. 7500 Maple Ave Takoma Park Maryland. Opening Reception: Thursday November 5, 2015. Artwork will be at (Up)Rising Festival hosted by Recreative Spaces May 17 to 25. 2006 Rhode Island Ave NE, Washington, District of Columbia. 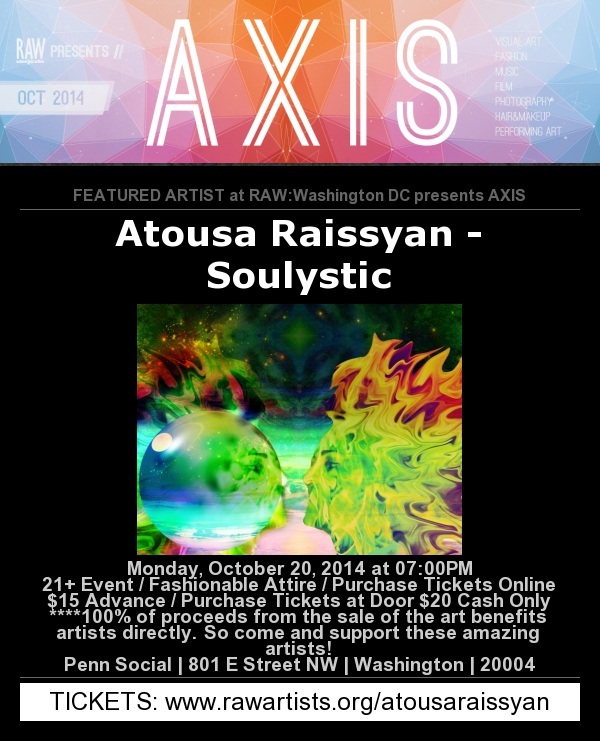 Artwork will be on display at Busboys and Poets from August 24, 2014 to OPEN. Busboys and Poets is located on 1025 5th Street NW Washington, DC 20001. Location: Busboys and Poets in Takoma Park - 235 Carroll St NW, Washington, DC 20012. Artwork will be on display at Baked and Wired from February 2015 to March 2015. Baked and Wired is located in Georgetown on 1052 Thomas Jefferson St NW, Washington, DC 20007. Reception date March 12th from 5:30 to 7:00 PM. Artwork will be on display at Quench from February 6, 2014 to September 2014. Quench restaurant is located on 9712 Traville Gateway Dr, Rockville, MD 20850. FYI Quench has award wining cocktails and delicious food. The Warrior Love Summer 2014 Book Tour Dates!!! Hope to see you at one of them this summer!! Sunday August 24th at Paradise Springs Winery, Clifton, time 1 p.m. to 5 p.m., www.paradisespringswinery.com, where we will be teaming up with Jim Phillips, author of The Key To Life, Living In Full Expression! March 7th from 6 to 9 PM. April 4th from 6 to 9 PM. Please stop by to see my artwork as well as other great artists. February 7 - February 26, 2014 at Capital Arts Network: 12276 Wilkins Ave Rockville, Maryland 20852. My digital artwork "One Soul" was accepted for Capital Arts Network (CAN) juried gallery exhibition "Token and Sentiments" which is featuring artwork, poetry and more. The exhibition opening is on Friday, February 7th and will last until Wednesday, February 26th, 2014. December 19, 2013 from 6 to 8 PM at Fitness Together - Bethesda Mindful Healing Spa. Join us for an amazing evening with 7 special guests. Inspirational books and art available for purchase - so top off your holiday list with the health and healing experts! GUEST AUTHORS/HEALERS: Atousa Raissyan, award winning spiritual artist Phil Tavolacci, "What's In Your Web. ', Laura Probert, "Living, Healing and Taekwondo." Germaine Avila, "Searching For The Caravan." Honi Borden Author | Speaker | Healer, "The Day I Became A Superhero." Anura Desai, "The Art of Living Foods." Joy Rains, "Meditation Illuminated." 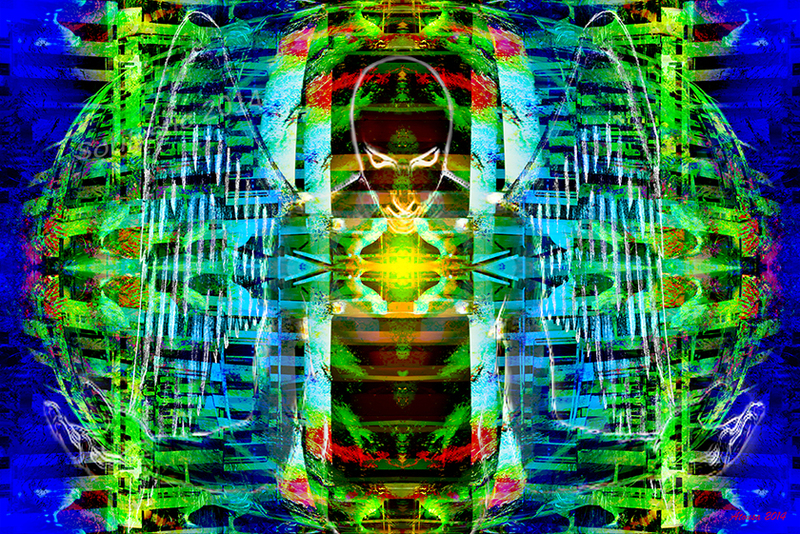 September 30 - November 22, 2013: Papillon; Digital Art and Paintings Exhibition at Black Whiskey in Washington DC. Open Showing on Thursdays from 10 AM to 2 PM, all other times by appointment. Closing Reception: November 22nd from 6 PM to 9 PM. October 2, 2013, Papillon: let go of it all, free your soul, and enjoy the beauty. Digital Art and Paintings by: Atousa Raissyan and Maria Lanas. Check out Pictures of the event (more pictures), as well as the press release. Pictures from the event were posted on Facebook, as well as the DC Modern Luxury Magazine (online edition).